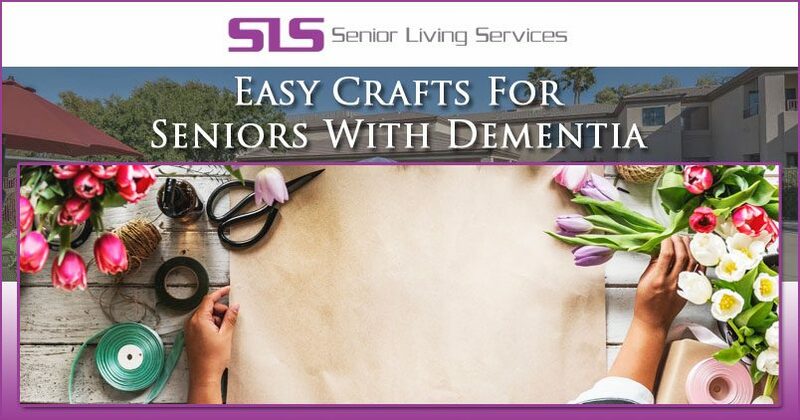 If you’re searching for “Easy Crafts For Seniors With Dementia” this article will help. Browse activities that will be fun and engaging for your loved one, spouse, or the senior you’re caring for. Although you may have someone with Alzheimer’s, it is important to have them engage in life, and still have fun. However, there are many Alzheimer’s patients who don’t have the ability to enjoy the activities that they once did. Yet, with the use of your imagination there are different activities one can create themselves, they are the DIY (do it yourself) activities. For starters, try different activities which do not have a specific (right or wrong way) of doing them, but yet, they have to be satisfying, filled with fun, and help to encourage self-esteem. In fact, using activities such as this can sometimes be the best alternative to taking medications that are intended for behavioral issues, depression, or to reduce agitation. It is also important that the activities you come up with will not be harmful to anyone. You yourself should be able to judge what will work the best for you are probably the one that knows them the best. For instance, some seniors may have the habit of putting things in their mouth or even eating them. In cases such as this, the best route to take would be to eliminate things that can be a choking hazard or things that may damage their teeth. Remember to take into consideration those who may be in the habit of tying strings around their fingers, for it could end up being their neck at some point (cutting off their circulation). Here are 10 activities that are filled and are sure to satisfy your loved one who has Alzheimer’s, which you yourself will be able to make. With only your imagination and a bit of creativity, simple household items can be made into safe and fun activities. Mini clothespins or full size either can be used. Simply give your loved one something like a wire clothes hanger, basket, or anything that is safe that they can clip the clothespins to and watch them amaze themselves with all the wonderful colors. Arranging flowers is a good activity for seniors who previously enjoyed making flower gardens, etc., so take them back in time by letting them create beautiful arrangements. All you need is some florist foam, plastic vase, and artificial flowers. There are a lot of seniors who enjoyed the handyman work they used to do around the house, and an activity consisting of something they once enjoyed can do wonders for their morale and their self-esteem. That is why letting them participate in an activity that holds a chance of bringing back a memory, or memories makes the perfect kind of activity for them. All you need are several different lengths of PVC piping and some fittings (all of which, doesn’t cost much at all), get a few of the elbows and a few T-joints at the hardware store, and if you ask them, they will usually cut them for you. Another great activity for seniors is to give them several different hardware parts, such as washers, bolts, and nuts, and ask them to sort them up for you. They may also get interested in sorting large amounts of loose coins, this may take them back to a time when they had to manage their own finances. Any age groups can have fun and relax playing around with play dough and modeling clay. Pick-up a few cookie cutters and play dough and just watch how much fun your senior has. Here is a recipe to make your own non-toxic play dough, just remember not to store it in your refrigerator. Try mixing in a few drops of essential oils (there are many different scents you can purchase), this can be a very relaxing activity. For this activity all you need is a plastic container with a good fitting lid. Put several dry beans or pasta in the container and you have a music shaker. You can either play some music for them or make one for them to shake with you. This calls for two copies of each picture you think your senior would enjoy, they can be laminated with clear tape if you want. Then you will have your senior mix and match or sort them, giving them tons of entertainment. However, they should be about the size of playing cards, so they can hold them in their hand. For this activity you will need a notebook (can be bought for very little), magazines, catalogs, newspapers, scissors (the safety kind), and glue stick. Have your senior look through and cut out the pictures that interest them and then help them to glue them in their new scrapbook. Pick-up some of those inexpensive party cups or fancy paper cups if you want, then have your senior help with cleaning up by asking them to stack or sort the cups. Use magnetic letters on a metal baking sheet and see what fun words you and your senior can come up with together. Another way to use magnets is to just have fun matching up the different shapes and colors of various magnets. Taking the time to do these crafts in groups where seniors can be social offers many important benefits. Some of these benefits include healing more quickly, delaying or even preventing some diseases, and the psychological benefit of having continued interaction with other people. By spending time with others doing crafts it gives seniors a chance to make new friends or tend to existing ones. These interactions help improve our mood and therefore helps avoid dipping into depression. When humans interact together they are generally more physically active. This physical activity, however lite in nature, does help keep us healthier than surfing the sofa watching TV. In addition if refreshments or meals are served we tend to make better decisions for what to eat, and eat more of it in social settings. When you interact with others and especially if you’re using your mind to be creative you’re improving your overall cognitive functioning. Mental activity keeps the mind sharper and helps delay or even prevent dementia and Alzheimer’s. Studies have shown that people who spend more or extended periods of time in isolation tend to have more trouble sleeping. Social activities tend to help us sleep more easily and get more restful sleep. Those who socialize tend to have better immune systems. This is in part simply from being more active but also is better from getting better rest and making better dietary choices. With better dietary habits, better sleep, improved cognitive function, and physical health we live longer and more healthy lives. Social activities and craft projects keep our minds engaged and help tend to our social needs. The professionals at each of our memory care facilities is trained to care for seniors with dementia compassionately and appropriately. Our team understands intimately the challenges that seniors face when dealing with dementia and can help keep them engaged with activities that stimulate the mind yet are safe. If you’re interested in what SLS Communities memory care services can do for your spouse, parent, sibling, or loved one please give us a call at 480-348-0300. How Do You Talk To Someone With Dementia?